Fill in your information below and click the Preview Button to view your custom print. Once you are satisfied with the text, click the Add To Cart Button and complete the ordering process. 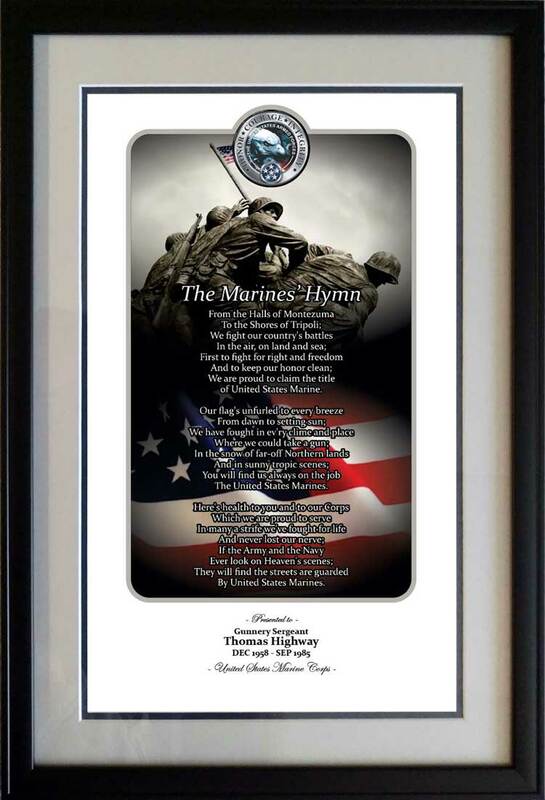 Free Shipping on your Marine Corps print! Consider giving a personalized and unique gift for your favorite Marine Veteran.